Scalextric, the ultimate boys' toy, arrived in toyshops in 1957. The first-ever electric slot-car system, with uncontrollable tinplate cars running on heavy rubber track, it brought the speed and glamour of motor racing to suburban living rooms. Scalextric, the ultimate boys' toy, arrived in toyshops in 1957. 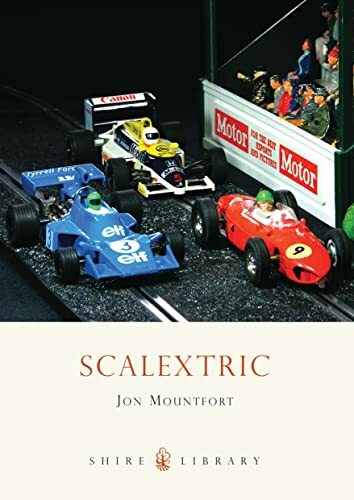 The first-ever electric slot-car system, with uncontrollable tinplate cars running on heavy rubber track, it brought the speed and glamour of motor racing to suburban living rooms. Classic marques of the day such as Aston Martin, Jaguar and Lotus featured in the early '60s scalextric sets, and over the years that followed all the classic Formula 1 battles were re-created in schoolboy form, followed by sports cars, rally cars, and classic film re-creations such as the "James Bond" set of 1968, "Batman" and "Knight Rider".